The meteoric rise and fall of one of the most controversial figures in world sport. 'I could have knocked him out in the third. But I did it very slowly. I wanted him to remember it for a long time. When I was hitting him to the body, he was making noises, like a woman screaming' - Mike Tyson, after knocking out Tyrell Biggs in seven rounds, 16 October 1987. Michael Gerard Tyson grew up in almost indescribable poverty in the ghettos of Brooklyn. Incarcerated in a young offender institution at the age of ten - when he was often mistaken for a man of twenty - Tyson discovered that he had extraordinary physical power. In Scream, Jonathan Rendall presents an oral history of Tyson's life, built around statements from those who knew him intimately from the beginning, including trainers, gym-mates and press agents. First-hand reports are interspersed with Rendall's atmospheric prose, which is immersed in the vernacular of the boxing ring. This compelling short biography chronicles the meteoric rise and fall of one of the most controversial figures in world sport. 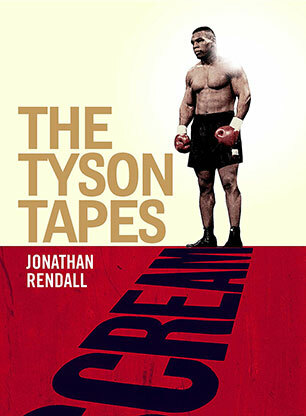 Here, then, are the Tyson Tapes. Jonathan Rendall was a prolific sports writer for the major British newspapers including the Telegraph and the Independent. His first book This Bloody Mary is the Last Thing I Own, about boxing, won the Somerset Maugham award. His second,Twelve Grand, was made into Channel 4 seriesThe Gambler. His third was a critically acclaimed memoir about adoption, Garden Hopping. He died in January 2013.